Do you enjoy your outdoor patio but just feel like it’s missing something? 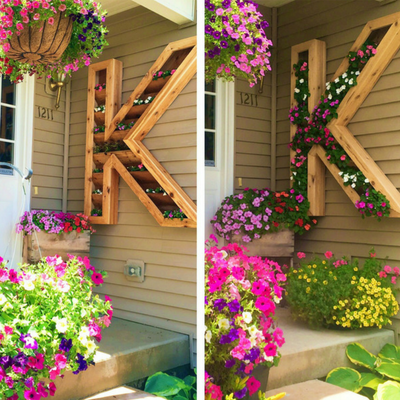 Look into building a wooden planter to hang on your house for all to see. You may need to have a little carpentry experience or at least know someone who’s willing to help you out. These people built a frame representing the letter of their last name. Get creative and make any shape you can come up with! Keep the inside hollow and add shelves to plant flowers and you’re done! Click Here for some steps on how to get started. 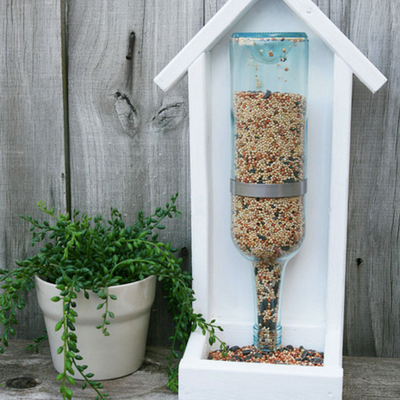 Invite your local bird friends to your backyard with these awesome looking feeder that’s easy and simple to make. All you need is some wood, an empty wine bottle, a clamp, and a few screws! Use your creativity to build your own backdrop and paint it whatever way you choose to match the theme of your landscape. Click Here for a tutorial on how to get started. If you have an old wooden fence in your yard and are in need of a simple way to spruce it up then try this out. All you need is a drill and a few colored marbles. Cut small holes the size of your marbles and then plug them with your variety of colors. You can use some super glue on the edges to keep them in place. 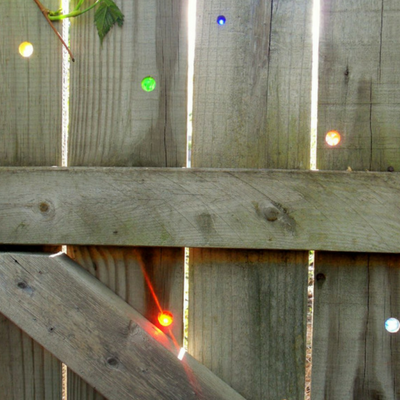 Your fence will reflect the sun through these colorful holes and give your backyard a fun splash of life. If you’ve got some old tires hanging around then transform them into cool looking ottomans with this easy project. All you’ll need is the tire(s), some nylon rope, sisal rope, scissors, and some hot glue. 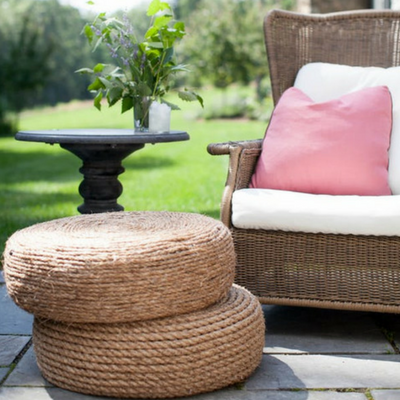 In barely any time at all, those tires that may have been an eyesore in your backyard can make your patio look like something out of a magazine! Click Here for instructions on making your ottomans. Happen to know anyone with an old grain silo they don’t use? Someone had the idea to take their own vacant silo and transform it into an outdoor bar! The idea does seem a little tacky at first but these people made it work, and it actually turned out looking pretty sweet. It’s simple, yet has a modern feel that is 100% operational to entertain guests all summer. 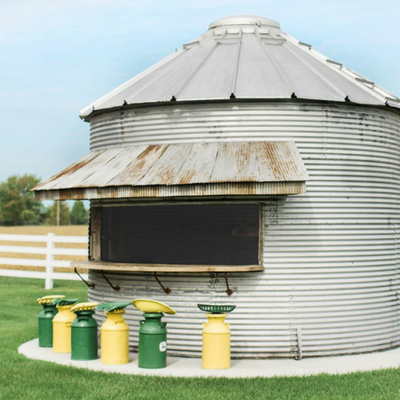 This project requires some planning out and a bit of a time investment, but if you happen to have an old silo then here’s an idea!